Ethical Shoppers act with a Social Conscience and are already changing the World, today. But! There is a serious shortfall in availability of ethical services to meet demand. Ethical Shoppers are the new Social Leaders of the world to-day. They are paying more attention to the world around them & collectively making a big difference every day in the lives of so many, fuelling new and better Livelihoods as they do so. So what has been blocking this apparently better way forward in a World that is riven by rampant man-made Inequality? Why have the best efforts of Social Movements, NGOs and Governments been unable to stall its obvious unfairness? Lack of Ethical Services! First, how do we know we have a social conscience? According to Wiki "social conscience is being concerned with the broader institutions of society and the gap that we may perceive between the sort of society that should exist and the real society that does exist." The Oxford Dictionary describes social conscience as "a sense of responsibility or concern for the problems and injustices of society". Now, life has taught us that if you ignore a problem, or permit wilful blindness or selective deafness to delude us, the problem gets bigger until the point it can no longer be ignored – until of course it stops us in our tracks and insists we pay attention. Sound familiar? Fundamentally the major problem is extreme poverty, terrorism and the forced emigration it breeds. Much of this is born of rampant greed and with all the dire consequences that follow through austerity, hunger and social exclusion. That is visible in forced migration but it also underpins global hunger, want, need, human rights, homelessness; access to clean water, to electricity and to internet - it’s an endless cycle of despair that we all know and call Poverty. Click images below to download documents for Free. 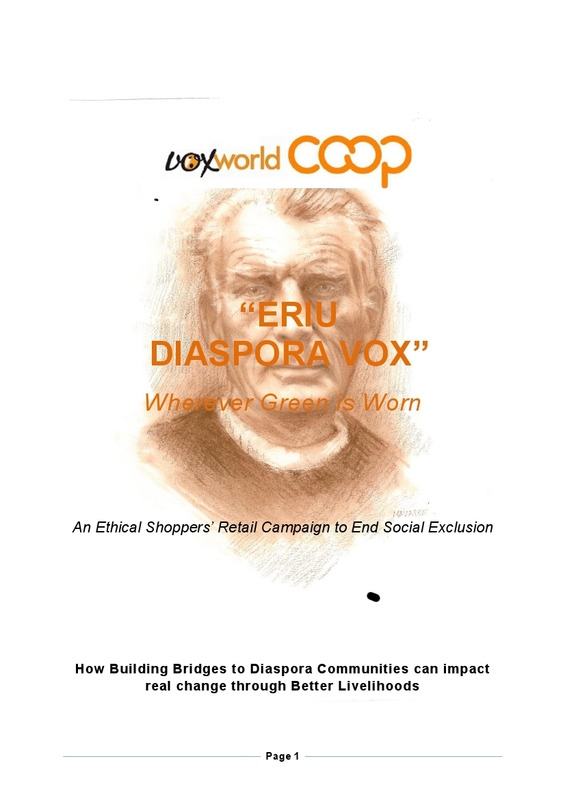 An Ethical Shoppers’ Retail Campaign is the unique way for ethically-minded and socially caring people around the world to end the blight of social exclusion by building bridges to their Diaspora and other Global Communities in order to bring about real and lasting social change through ethical jobs and services for better livelihoods. 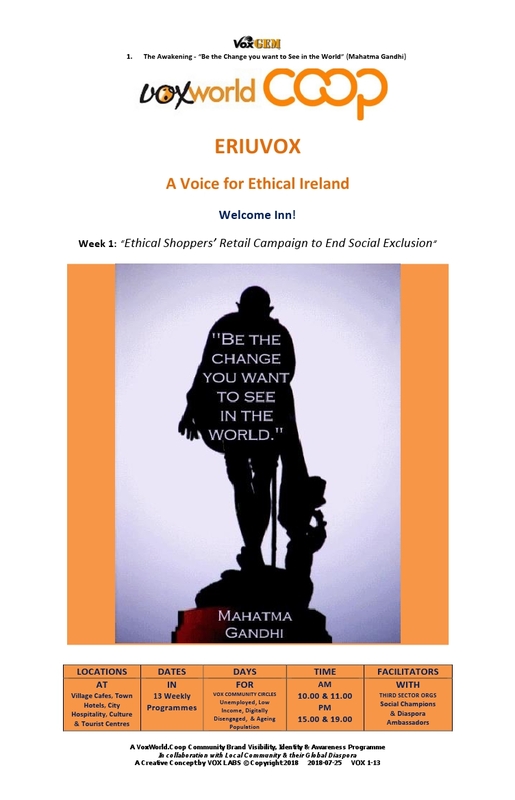 An Ethical Shoppers’ Retail Campaign to End Social Exclusion This is the first in the series of three Research, Development and Innovation (RDI) Papers supplemented by a VOX Book on the USB platform with the backstory in support of an “Ethical Shoppers’ Retail Campaign to End Social Exclusion”. Who Benefits? What% goes to Whom? You'll be started to know! If we are appalled by allegations of human-rights violations in a country we ought as responsible citizens to pay attention to product labels from that country and a take any small actions that lie entirely within our gift. That seems logical, right? So we need to identify and avoid those brands that are contributing to those problems, right? We do know that Brands and Governments alike do pay attention when sales orders and trade start to drop off, we know that. And if we are sickened by the thought of children being paid paltry pay and forced to work long hours assembling expensive leisurewear or footwear or having to work in coffee plantations – we ought to pay keen attention there too, agreed? We get concerned when a global retail brand uses a co-operative label to pretend it is socially concerned, or when brands pass themselves off as being fair trade minded when they are simply being opportunistic, don’t we? And we do care if a a brand shows pseudo empathy for the more unfortunate peoples of our world through Corporate Social Responsibility (CSR), as they cajole unaware shoppers into thinking they are helping their plight whenever they buy their products? But we have been doing all those things for years have we not and the social problems are just getting bigger, as the rising scale of Inequality tells all of us who care to listen. But, are we as powerless as we say we are? No! Ethical Brands of the digital world offer people an entirely new and more assured way of changing their world experiences. Yes, many shoppers are aware of Fair Trade, Co-operatives, Credit Unions, Product (Red) Campaign, One Campaign etc. But often get confused with EthiSphere’s list www.ethisphere.com of World's most ethical companies, which is a different story altogether. They have shown us the way but there is so much more that must be done to turn back the tide of Poverty that is bred by Inequity. 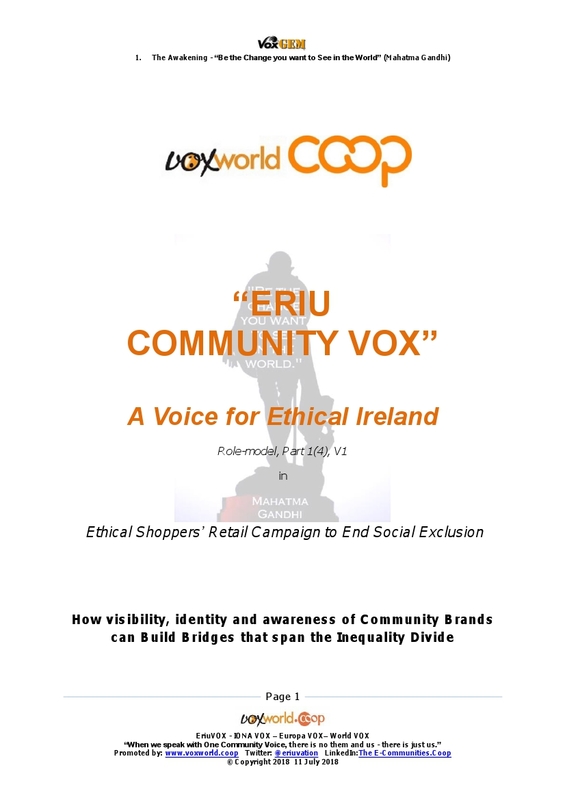 VoxWorld.Coop is an Ethical Symbol Retailer format that has been generated to promote Community Brand collaboration through unique point of sale concept display systems. It simply asks any and every shop to allocate a cubic foot, metre or space to promote ethical services. Yes, ethical retail is a virtually untapped way to better livelihoods, one that holds out the hand of hope and opportunity to everybody who grasps it. And emerging Vox Ethical Outlets are places where Global Community Brands can co-create better Livelihoods for their people. 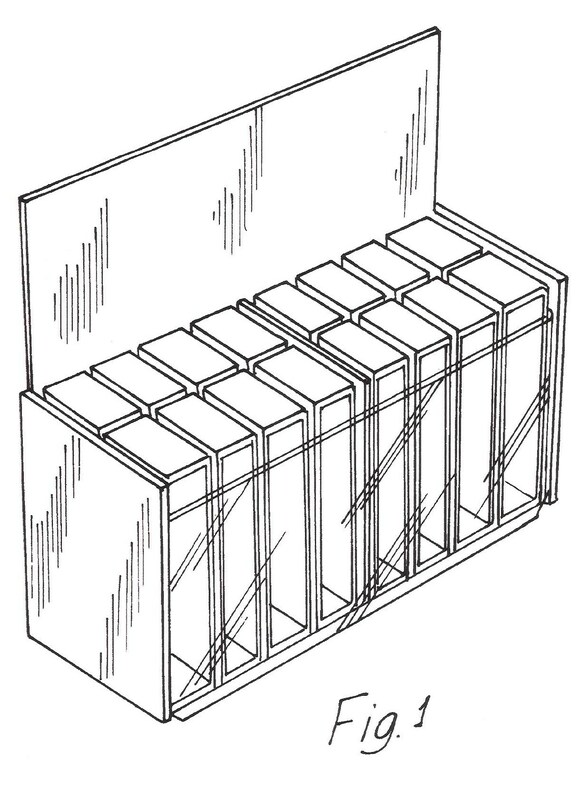 As this “VOX Campaign” gains traction among an ever widening ethical retailing channels and shoppers, channel feedback will lead participating Communities to identification of under-utilised home place services skills, to discovery of hidden community talents and to delivery of endless services that will satisfy some of the vast array of latent requirements of the global ethical shopping marketplace, one led by their Diasporas in form of Social Tourism. The West gets wealthier, so we in West have a greater responsibility than the rest of the world – the more money we have the greater the responsibility we carry in the world whether as individuals, communities or as countries, although of course we answer to our own conscience alone. In the West we shop more, so we have greater power to make a difference….when we use that power while we shop. Does it matter to us when we buy something for $5.99 in our local currency that was created in a sweatshop for $0.19 or whatever, do we care as we should? Does it really matter if the fruit we eat was picked for $0.30 a basket and sold at ten times its cost of production or whatever? Do we reflect on fact that what matters to us in life makes us who we are and into who we may yet become? But! Change is never easy, that is unless you’re an ethically minded Shopper! You don’t have to pay a penny more than you want to, just need to be more aware of who benefits most. But it’s how it makes us feel that the real kicker. It’s so easy to collectively make a big difference, without any fanfare, when we are Informal Shoppers with a social conscience - from the very day we choose to become an Ethical Shopper. Retailer and Social Brand Visibility is another matter altogether. When was the last time we saw a Co-op Shop staring us in the face as we shopped, assuming we don’t live in Switzerland? And how about last time we saw an actual Fair Trade Shop, or recognised a Credit Union as a Co-op, when out shopping in our locality? Or how often have we seen those Brands that make such a difference, as they do, just jump off the shelves at us – like Product (Red) or 1% for the Planet? Is it the Retailers or we the Shoppers that are the reason for this lack of visibility? Are Retailers just reflecting lack of shopping demand as their reasoning or excuses – you know, labelling costs, inevitable higher prices, complexity of it all, et al. Something within tells us that shops and brands with a social conscience ought to be more visible, ought to stand out in every high street, or mall, supermarket or superstore. And together we can make that happen today. It is Identity, however, that is most often overlooked by Brand & Retailer alike, even those acutely aware and already responding to the realities of the life for the many; even when already highly visible through their presence on the shelves and on the streets in their world of ethical shoppers. We have seen how Co-operatives worldwide have addressed this challenge of late, and who now have developed just one potentially powerful new Co-op Marque of Identity. This is a giant step forward for one Global Community that has begun to transform the existing tens of thousands of brand identifiers, individual coop logos, into one recognisable umbrella brand that stands out and stands up for better livelihoods for over a billion people worldwide today. According to the opinion-forming “Retailing Today”: "Retailers to-day should introduce more transparency into their product labels and identify Fair Trade, conflict-free and environmentally-friendly practices." We have heard a lot about authority, responsibility and accountability around brands and retailers alike but much less about transparency. Transparency is so important that it has been called 'the fourth wheel on the car', without which you would not get very far, right? So again, what has been blocking this better way forward for the world? Perhaps because Young People are the missing part of the puzzle, possessing the initiative we all need to usher in the change we need in the world, an inter-generational solution. Perhaps they are the Shoppers with the Social Conscience who are prepared to take the real and sustained actions that are so badly needed. Results of a recent survey by KPMG LLP reveal that nearly 70% of consumers younger than age 30 consider social issues such as sustainability, human rights and fair trade before making a purchase. “This outpaces the fewer than 50% of consumers overall who feel the same way." There is just one question we need to ask when we shop. It’s the question about Who Benefits? What% goes to whom? If we all do this just once a week when we shop for any product or service of any kind –collectively we will all make a greater difference than we can yet imagine. You’ll be startled to find how few times you knew the truth! Copyright © 1991-2018 VoxLABS™. All Rights Reserved All material presented herein on this Website is the property of VoxLABS™. Designated trademarks and brands are the property of their respective owners. Copyright. Disclaimer.